Virgin Media offers TV customers free 4K-ready V6 box upgrade | What Hi-Fi? 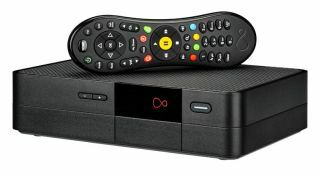 Virgin hopes the majority of its TV customers will be using its latest generation set-top box by the end of the year. Subscribers to a Virgin Media's TV and broadband bundles will soon be able to upgrade their older set-top box to the latest V6 model at no additional cost and with no additional contract requirements. Virgin says most customers will be able to install the new box themselves without the need for an engineer visit, too. Eligible customers will be contacted in the “coming weeks” with details of how they can get hold of their V6 box. With the V6 box launched just over a year ago, Virgin says it’s already in the homes of approximately 25 per cent of Virgin TV customers. It hopes that figure be above 50 per cent by the end of 2018. Virgin TV might not offer as comprehensive a TV service as Sky and BT (in part due to its comparative lack of 4K content), as we found in our three-way test last year. But, current Virgin TV customers will be pleased to know the V6 is quicker than previous TiVo boxes, while it also opens the door to use in a multi-room set-up. The V6 box also has 1TB of storage, Dolby Atmos support (despite there currently being no content), and can record six shows while you watch a seventh via on-demand services or your own recordings.